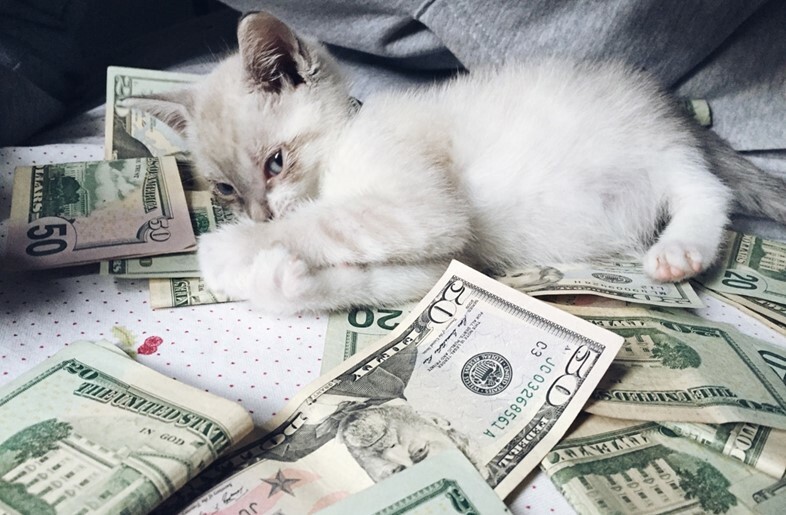 "Make my own money so I spend it how I like." 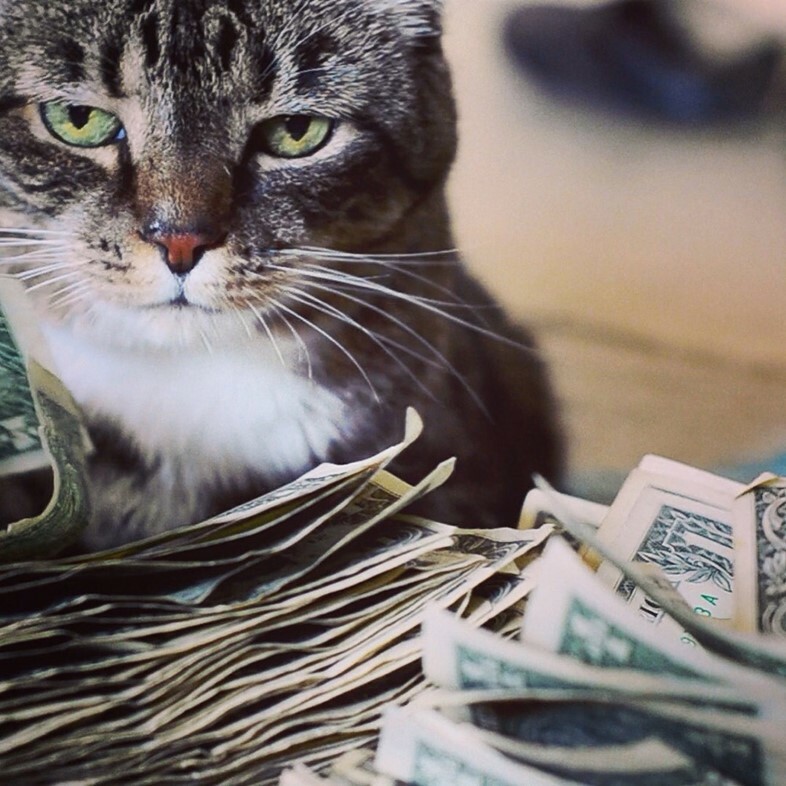 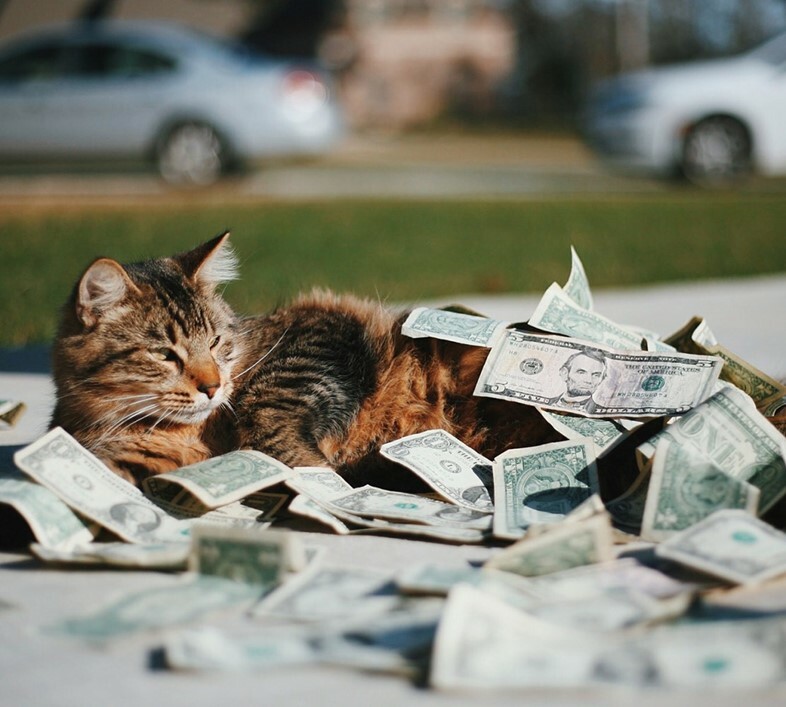 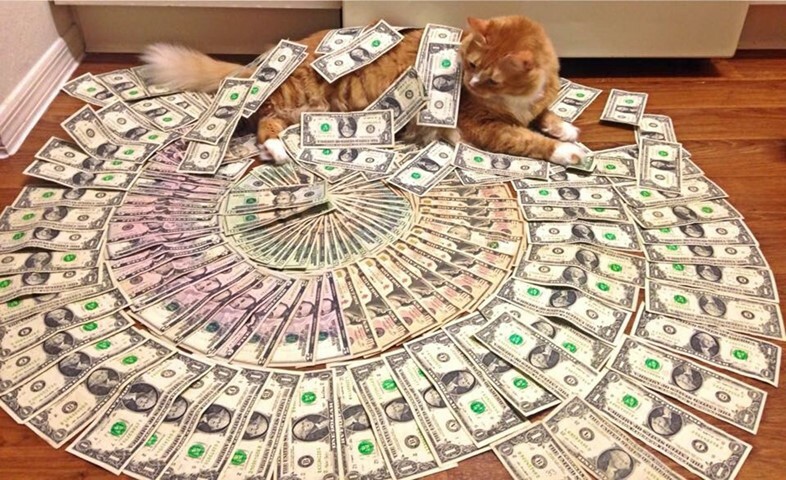 An ever-growing photographic archive dedicated to felines basking in Benjamins – what could be better? 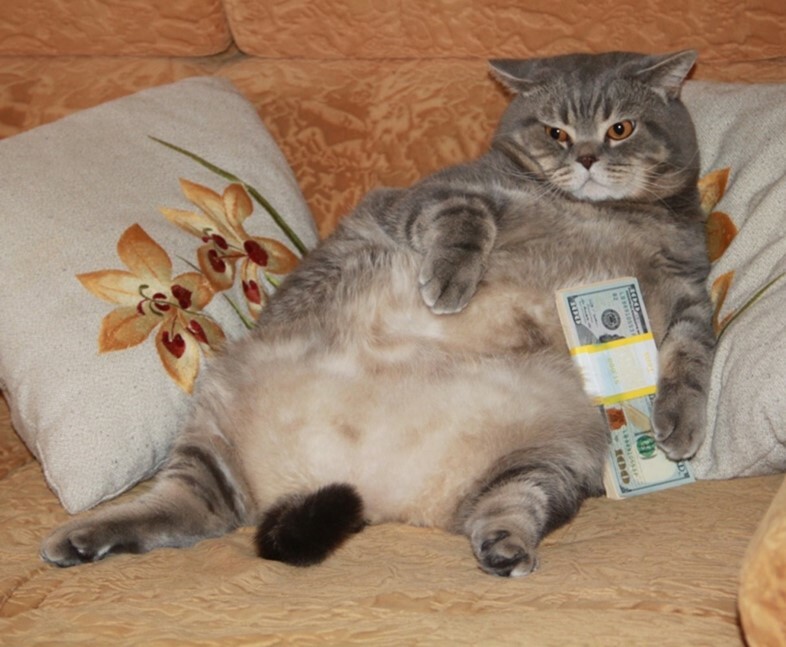 The inauguration of the new lunar year might have most of the world talking about monkeys this morning, but we at AnOther are, as ever, preoccupied with a more feline-focused channel –that of Cashcats. 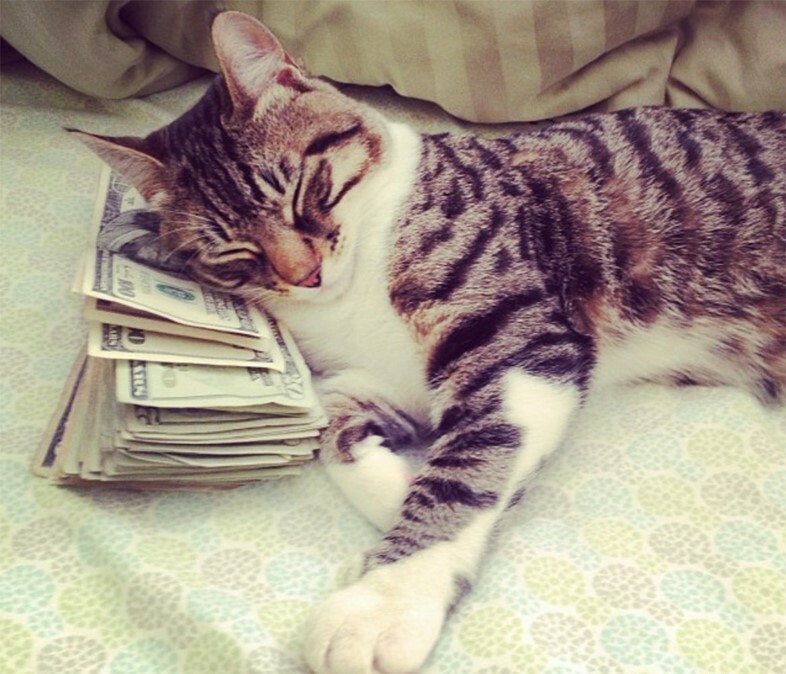 An oldie but a goodie, Cashcats was started in 2011 by Brooklyn-based digital marketer Will Zweigart, but as is the case only for the very best of creative digital ventures, it’s still going strong – barely a day goes by without a newly submitted shot of a feline basking in bills making its way out to the world. 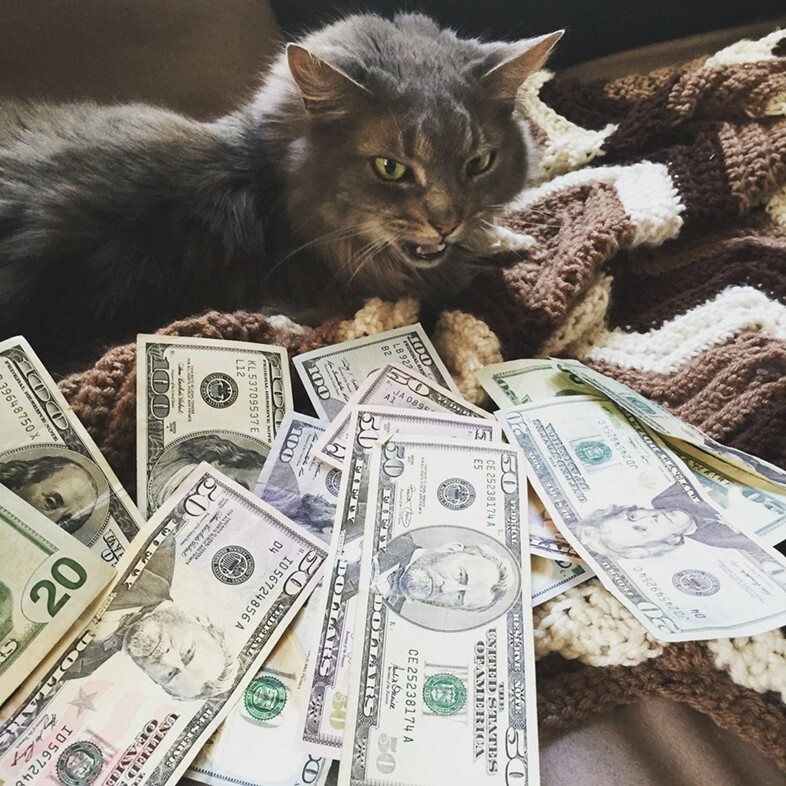 Nowadays, Cashcats is a multi-channel phenomenon, with a dedicated website, Instagram, and even an online store all on hand to appease the insatiable appetite of its loyal following. 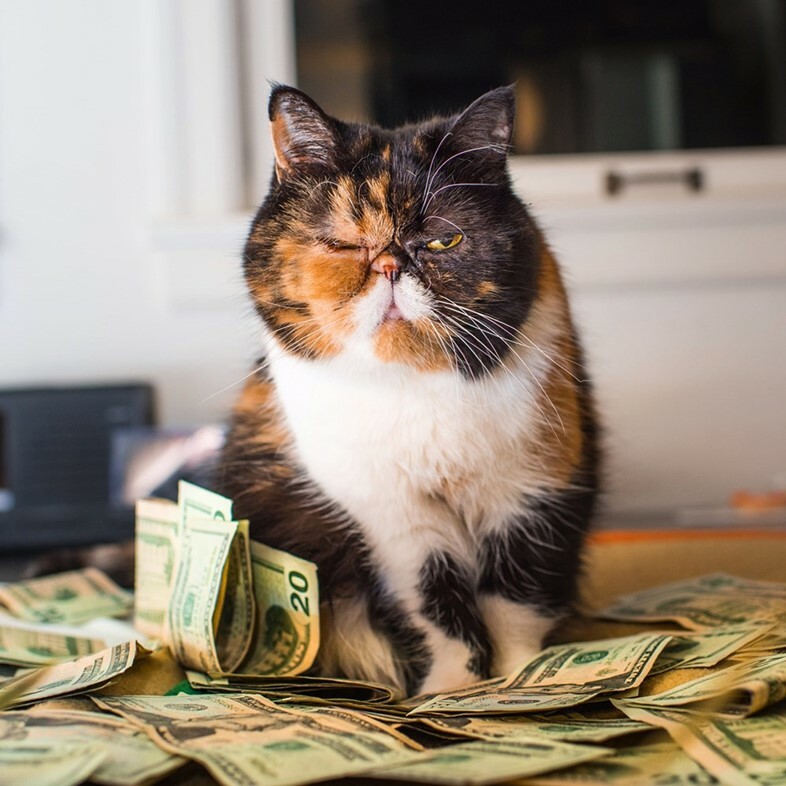 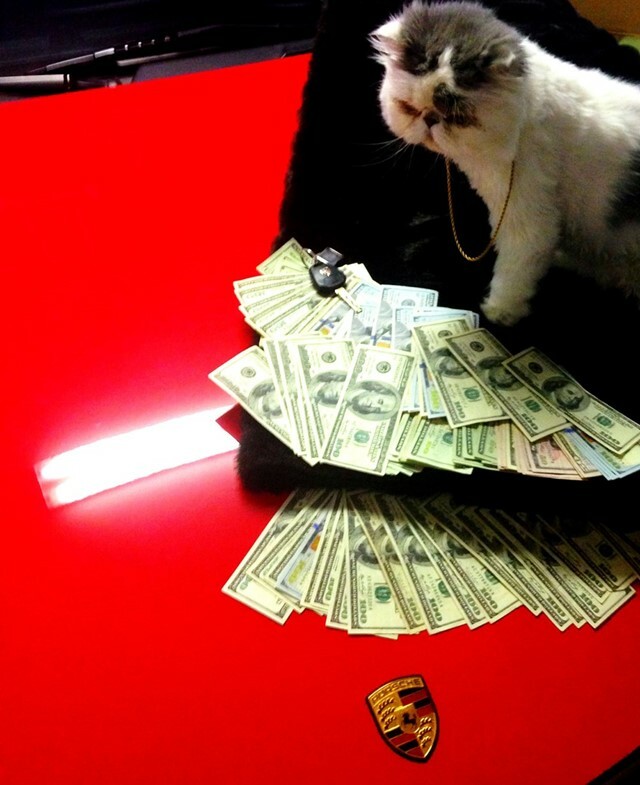 The captions that accompany images of a puss carefully poised next to a bottle of bourbon and draped in golden chains are almost as pleasing as the shots themselves: “federal agents mad cuz we flagrant,” one reads, while another wide-eyed specimen’s earnestly states, “girl just wanna have funds.” The photographic flair demonstrated by contributors, meanwhile, demands an eye for composition and art direction seldom seen in such spheres, setting Zweigart’s plight well apart from lesser archives of anthropomorphic photography. 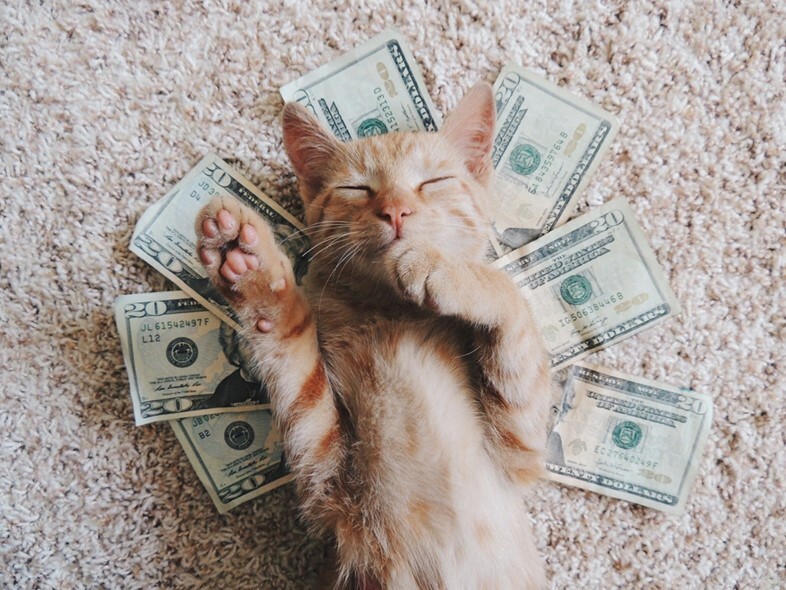 It doesn’t come much better.